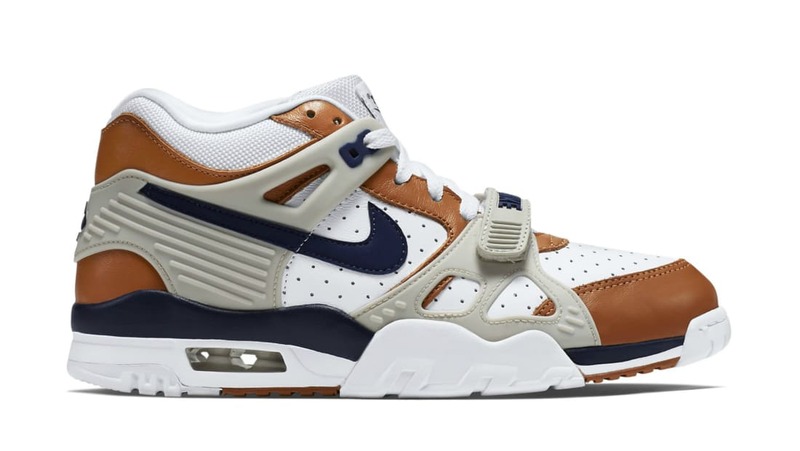 Nike Nike Air Trainer 3 "Medicine Ball"
Originally released in 1988, the Nike Air Trainer 3 "Medicine Ball" features a white leather upper that's accented by Ginger and navy blue overlays. Light Bone covers the TPU lacing system that wraps the heel and adjustable strap across the forefoot, which sits atop a navy and white midsole. Release date is Apr. 25, 2019 at a retail price of $130.